Improve your presentation quality and evaluation score by following the suggestions through the automatically generated report about your submission. This service is provided free of charge to all nominated entries. 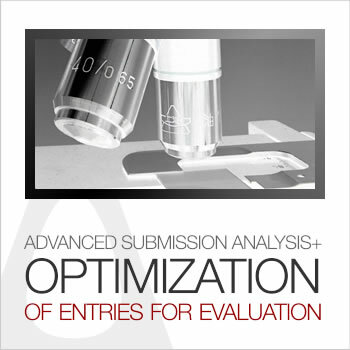 Please click on a design on the bottom of this page to view a detailed report on suggestions and warnings generated by the advanced submission analysis and optimization software. Not all submissions are the same, in many cases it is possible to see that the entrants join the competition with a submission that get eliminated quickly due to presentation issues. To solve this issue, and to improve the overall quality of submissions A’ Design Award had previously released Submission Guidelines, a free to download, in-depth document with illustrations that walks you through the submission and gives hints and suggestions to make a submission that counts. Furthermore, services such as Free Preliminary Checks and Professional Preliminary Evaluation were also introduced to help participants to improve the quality of entries. While both the guidelines and the manual-review services were useful, we still decided to go further to develop a tool that would make real-time suggestions for existing submissions. This tool is called the submission optimizer, and we hope that by following the suggestions of the submission optimizer, entrants will increase both the quality of submissions and also their final rankings. The tool was especially developed because we believe that the time and contributions of each participant is unique and relevant, on one side over a significant data-set, we had seen that jury members had cognitive biases towards entries which had very good presentations, while we tried our best to eliminate the biases through direct means such as normalization and cross-checking, the presentation bias was still present, thus we conceived of a tool, which could help overcome the effects of the presentation-bias. We though what if all submissions initially had a “very good presentation”, then the presentation aspect would be less relevant for the jury members during their decisions and evaluations of the submitted entries; thus if all submissions had a very good presentation, jury members could vote for the designs based on the design qualities, without being affected by the biases that arose through their presentations. For this purposes we decided to make an informative tool; to let participants optimize their presentations and meanwhile learn how to make a clear submission by reading the explanatory notes provided by the submission optimizer and analysis software. 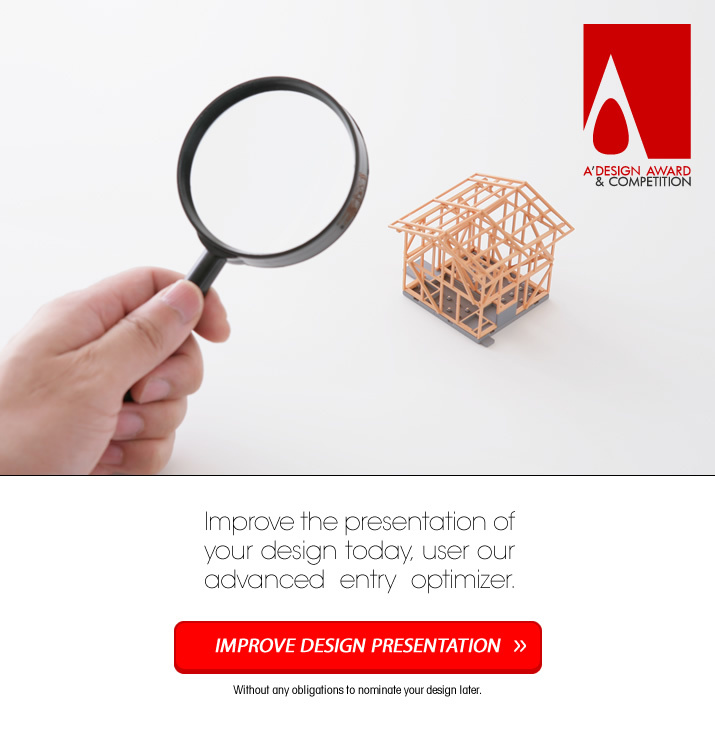 The Submission Optimizer is a special software created in order to analyze the entries submitted to A’ Design Award & Competition. The software prepares reports that includes warnings and suggestions which could be used for improving the quality scores of submissions. Suggestions and warnings are generated for: 1. Submitted Images, their dimensions and resolutions. 2. Submitted Description and Text. 3. Submitted PDF Documents. 4. Uploaded Video Files. 5. Accompanying Links. 6. Your Profile. For each data submitted for your project, the software displays information under three importance-levels: Warnings, Suggestions and Confirmations. Warnings are most important issues that should be addressed regarding your submissions before the nomination deadline, following warnings and fixing the indicated issues can improve your submission score significantly. Suggestions are other non-critical issues that could be addressed before the nomination deadline, by following the suggestions, your submission score could potentially increase further. Confirmations, are issues that are identified as okay by the optimization software, you do not need to take any further actions for these points unless the manual review by the preliminary jury members indicate otherwise (such as via the free of charge preliminary checks or professional preliminary checking service). Warnings: These are issues that must be fixed before the entry is judged. Fixing these issues will significantly improve the presentation quality score of the submission. You are suggested to fix these issues first. Suggestions: These are issues that could be addressed before the entry is judged. Addressing these issues will improve the presentation quality score of the submission. You are suggested to fix these issues after you fix the warnings. Confirmations: These are confirmation messages that are generated by the system for information purposes only. No action is required on your behalf. It is suggested to go all green. Each submission checked by the submission optimizer will be assigned a submission quality score. This score is not a design score as assigned by the preliminary checks (please do not mix these two concepts), the Submission quality score is more about the presentation of your submission, and your score is higher especially if your submission fits the submission guidelines. 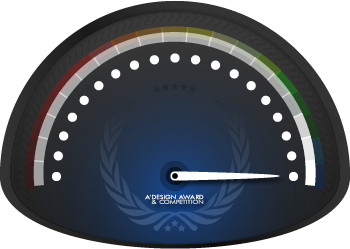 At submission analysis page, each design is shown a gauge and the score is written together with the gauge. To remind you once again, while the preliminary checks are manually made, the submission quality score is automatically assigned. It is suggested to follow also the instructions of the preliminary jury members through the preliminary checks. Please be reminded that preliminary checks are provided only after your design reaches an average presentation quality. To learn more about the assigned numbers and the status also see the submission quality indicator tables and score breakdown. You have not uploaded any designs, please upload your design first. To upload your design click here.